1. An all-encompassing liability insurance policy that covers all employees, including both contractors and sub-contractors, working on a large-scale construction project. Wrap-up insurance can be either owner-controlled or contractor-controlled, and can provide workers compensation, general and excess liability, professional liability, pollution liability, builder's risk, and railroad protective liability. employers liability insurance (ELI) Insurance purchased to cover businesses for liability from workplace accidents. general contractor The person or company that performs work on a construction project, hires subcontractors and suppliers, or both. general liability insurance Insurance that protects individuals and businesses from a number of potential liabilities. The length of your mortgage term is often correlated with your interest rate. By and large, longer terms have higher rates and shorter terms have lower rates. 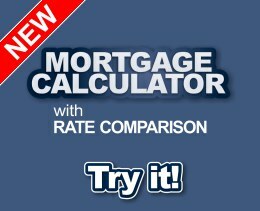 With our mortgage calculator you can try out different mortgage terms and rates in order to see how they will affect the amount of interest you will end up paying in the long term.